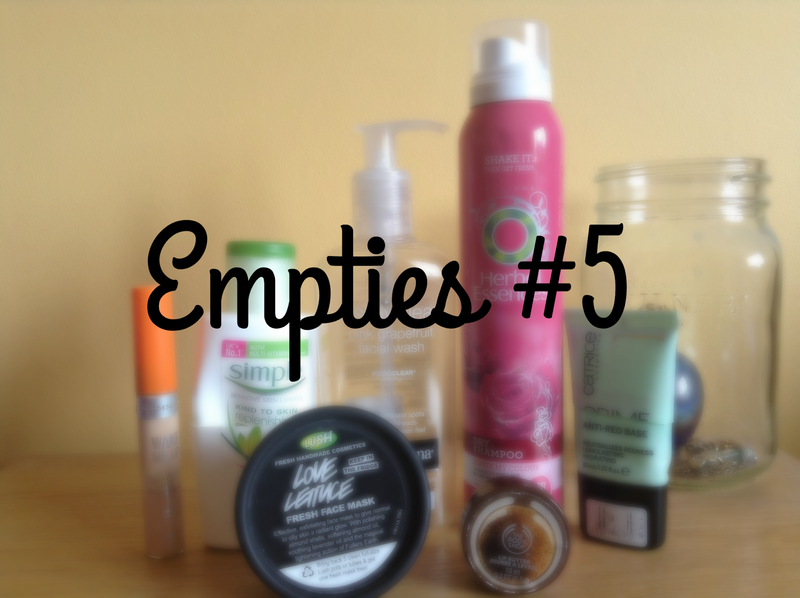 It is time for another empties as I have a few products that I finished up in the past few months and I want to share my thoughts on them. I've always liked Simple skincare products but since it is coming more into the Summer, I wanted something with SPF in it. I liked this moisturiser, I found it kept my skin nice and moisturised without feeling sticky and I could use it day or night. I am so sad this is all gone, for such a small container you wouldn't think it could last over a year! I love the smell of The Body Shop's Coconut range, it is one of my favourite scents. I liked to use this lip butter overnight as it is quite thick and I found I could still smell it the next morning when I woke up. I am definitely going to repurchase it, if I can find it. I have had this bottle for over 2 years and I was just using it up just to get out of my collection, I have a lot of things that are just have used and left. Two years ago I used to be obsessed with this facial wash but now I find that it is ok, I have found better ones. I have normal to dry skin and this helped if I had any flaky or dry areas around my face. It isn't the nicest smelling face mask, compared to Cupcake, but it acts as a great moisturiser and exfoliator. You also get to look like The Hulk for 15 minutes and I'm not complaining about that. The next time I'm in Lush, I hope to get this again. It's weird to say that I had no major opinion on this concealer possibly because it is a brightening concealer and since I am as pale as the brightning shade, it didn't brighten anything. As an under eye concealer it was ok, it did the job but my dark under eye circles didn't disappear out of thin air. I am the tomato Snapchat Lense, I have some redness on my face, around my cheeks and forehead, this primer helped to calm it down. Since I have so much redness, it didn't get rid of it completely but it helped. A little goes a long way with this product and it lasted a long time. This is one of my favourite dry shampoos, it doesn't leave you with that horrible looking white cast, it smells amazing and it actually works. I found with some dry shampoos, mainly Batiste, it wouldn't do anything for my hair. This one makes my hair look and feel as if I had just washed it. I have another one already on the go, so does that show how much I like it? 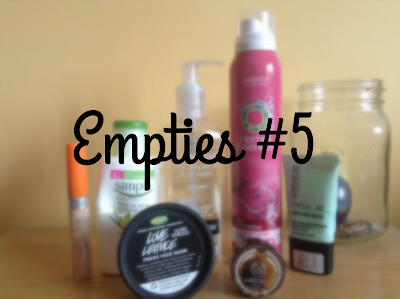 What are in your empties? I have red cheeks so I think I need to try the Catrice Primer!! Yes, you should! It definitely helps toning down the redness. Yes! The herbal essence dry shampoo is a life saver. I love it.